Some of our favorite aviation and space stories of the year. We do our best to bring you the most interesting stories in aviation and space exploration every year. 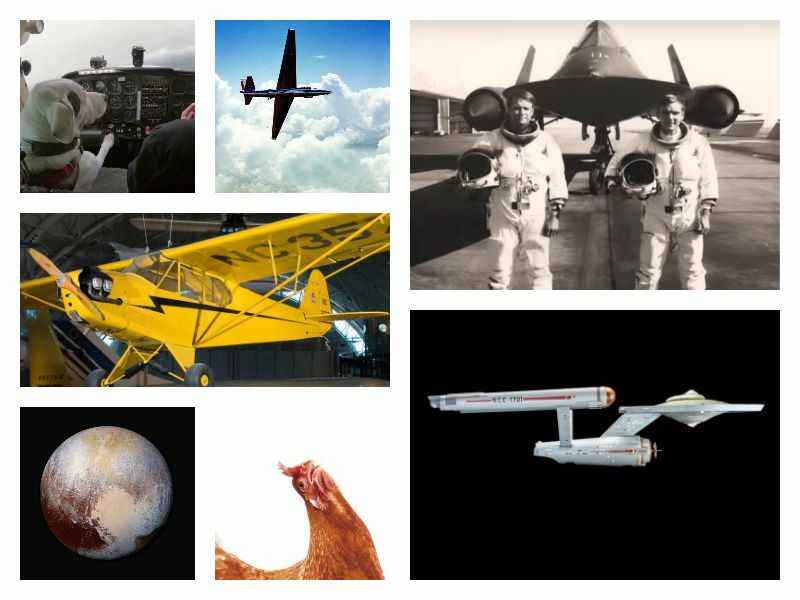 Below you’ll find 12 Air & Space / Smithsonian stories from 2016 we want to make sure you didn’t miss. This year we also launched our new series, A&S/NEXT, featuring stories about young adults starting their aerospace careers. We hope they’ll be an inspriation to the students in your life, so send along the link to our story collection, including our Guide to Your Future, where they can find information for scholarships, internships, and flying lessons. Remember to check in with our special reporting on virtual reality, and get yourself a Google Cardboard or other headset for your phone so you can dive into the VR world with us. This year the National Air and Space Museum celebrated the opening 40 years ago of its building on the National Mall, by dedicating the newly renovated Boeing Milestones of Flight Hall thanks to $30 million provided by the aerospace company. We decided to celebrate by picking 10 artifacts you can find in the Museum that are associated with the greatest moments in aerospace, from the Wrights’ Flyer to Chuck Yeager’s Bell X-1 to the Apollo 11 Command Module. 2. What Went Wrong on Malaysia Airlines Flight 370? In this riveting excerpt from Christine Negroni’s new book, The Crash Detectives, the author reconstructs the last minutes in the cockpit and comes to some surprising conclusions about how MH370 may have disappeared in 2014. The original Star Trek television series turned 50 this year. We asked space and entertainment figures about the impact the franchise still has half a century later. The astronomy story of 2016 is no contest. In February, scientists at LIGO confirmed they had observed for the first time the ripples in space-time predicted by Einstein’s theory of relativity. Nobel prizes are sure to follow. “Unsure of what to do with a receipt for a multimillion-dollar helicopter, I folded it and stuffed it in the pocket of my flight suit.” A pilot describes the day she had to leave her SH-60B helicopter at the boneyard. Forty years ago, the SR-71 Blackbird set a record that no one can break. A year and a half after the New Horizons spacecraft flew past Pluto, it finally finished transmitting all its data from the fly-by back to Earth. As the spacecraft, already several billion miles away, continues to speed off to its next destination in the Kuiper Belt, we took a look at what we’ve learned about the dwarf planet from that once-in-a-lifetime observation. 8. How Much of the Overhead Sky Do You Own? There are a lot of heated feelings these days about drones flying over private property, but in 1934, it was a court case over frightened chickens that led the airspace debate. For most of us it’s been a long year watching the news, so we’re grateful for this U.K. television network that spent six hours answering the important questions. A harrowing story from a Cold War pilot dispatched to intercept a bogey headed towards Cuba. Europe’s satellite sent back its first batch of survey data earlier this year, which will eventually make up a staggeringly huge and highly accurate map of the stars, planets, and asteroids that make up the Milky Way. There’s hardly an astronomical problem that Gaia won’t influence. 12. Is Beaming Messages to Other Stars a Wise Idea? A group in Europe sent a message toward Polaris in October, but the debate still rages about whether we really want to let intelligent alien life know we’re here.